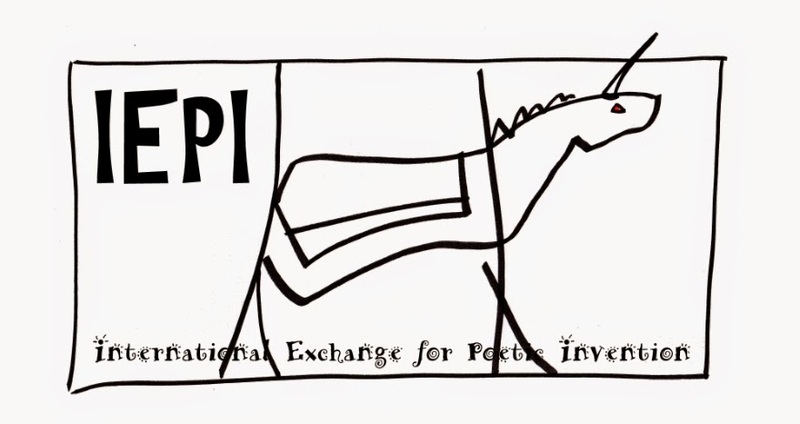 A quantum poem is a species of epiwriting of diffuse borders that opens new ways of exploration, perception and interaction among the author, the object and the reader upon creating a fictional space in which the probability permits as in a play of mirrors to complete what does not see in the representation. Its architecture configures themselves from a n-layers information system in which are possible the interactions, the complex systems of capture of data, the aesthetic and chemical processes. In this, the superimpositions can be hidden or to show, permitting their presentation hypermedia in sonorous, visual, textual terms and of put in scene. Such essence implies that its content be transmitted by different languages, permitting the reader to set its attention in speeches and parallel narratives. It is the polyphonic poetry without matter of the S-T that no longer can describe its object in lineal terms, being it not lineal the possible only middle to express a not deterministic, risky, and complex reality that gravitates in its contents of expression. A epistemological paradigm that has gone configuring joined to the rizhomatic character of the network until coming to generate a new writing as fictional space of relation and uncertainty beyond the linguistic limits. 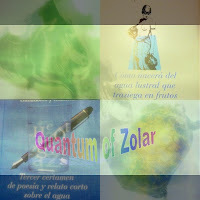 In this context arises the quantum poem Como nacerá del agua lustral que trasiega en frutos with contained emotion in the nature of the world, of things that hurt and in the limits of the possible representation they are transformed into creative challenge. Its meta-language sample a complex process associate to the probability to be in the original duality superimposed of events not manifest-manifest of the S-T. The nature is alive, creates, interacts and evolves to the margin of our perception of the things. Since this supposed one, all as much as exists or can come some time exist, could not exist like matter, existing in the course of the time of another manner of the calls parallel or quantum worlds. Of these unfathomable origins emerges the poetic object of Como nacerá del agua lustral que trasiega en frutos: an existence (s) nonexistent (s) created potentially that in some moment transcended as original event. The explosive of this transfer of limits is the interaction among the nature, the art of the complexity and the fractal geometry (more in http://myriamsolar.blogspot.com/). Of this relation among the art, the science and the nature is born the quantum literature with its constructions natural fractals. In Como nacerá del agua lustral que trasiega en frutos, a natural fractal born in a space of experimentation is capable to do intelligible the unintelligible thing, upon expressing lines of identity that will be revealed of a Trachemys pseudymis elegans, the matter that maintains this poetic object. I cannot find anything at any of these links. and the other is OK although is necessary to seek in the page.